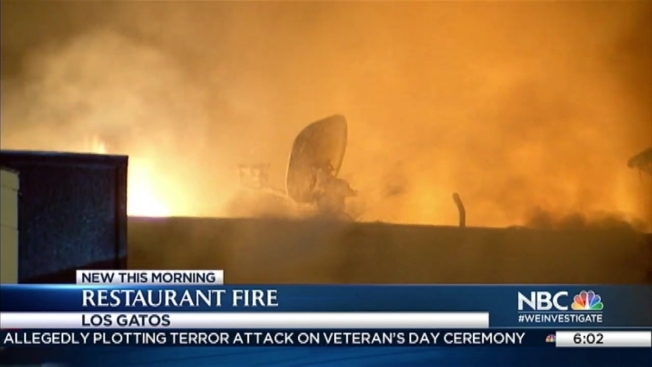 A popular Los Gatos establishment that’s been voted the “best sports bar in Silicon Valley” for 12 years was damaged late Sunday night in a three-alarm fire. The blaze at Double D’s Sports Grille at 354 N. Santa Cruz Ave. was reported just before midnight, according to the Santa Clara County Fire Department. Firefighters had difficulty battling the fire because the flames had moved to the attic, and they needed assistance from San Jose, authorities said. The attic was completely destroyed, and the dining room suffered major damage by smoke and water, firefighters said. Still, employees were able to save some sports memorabilia from the walls. "The walls are just covered in stuff," said employee Tara Miller, who spoke outside the restaurant Monday morning. "I'm just completely heartbroken by this. This is such a fun, family environment." The fire was brought under control at 1:50 a.m. But as a result of the emergency, Saratoga Road and Highway 9 eastbound to Highway 17 were expected to be closed for some of the Monday morning commute. 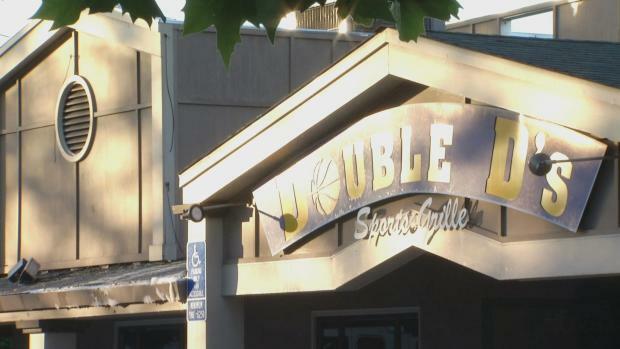 The bar is named “Double D” for brothers Dean and Darin Devincenzi, who bought the bar in 1996 and combined their love of the restaurant business with their love of sports, according to the company website. Since then, Double D’s is a traditional watering hole for sports fans who love to watch Sharks, Warriors, Giants, A's, 49ers, Raiders, Earthquakes, March Madness with like-minded souls.